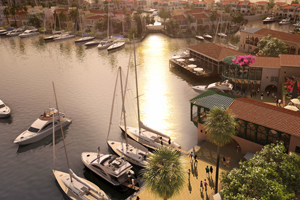 The historic seaside city in Cyprus is developing a £350m marina and boasts numerous incentive options. Incentive appeal: The historic seaside city will receive an injection of glamour with the opening of a new marina in 2012. The £350m waterfront development, set to be fully completed by 2014, will feature restaurants, bars, high-end retail outlets, leisure facilities and a cultural centre with event space. In August, the city's Municipal Gardens host the annual wine festival, run by the Limassol Municipality and designed for the merrymaking of locals and visitors. For action-packed fun try the 2010 Fx Pro Cyprus Rally, which is set to take place on 4-6 November, with much of the action focused on Limassol. The Love Cyprus Golden Stage Rally is a single-day event taking place immediately after the rally. Accommodation: The majority of Limassol's five-star hotels are on the beachfront. The Four Seasons is ideal for larger groups, offering 304 rooms and event space for 600 delegates. Delegates can enjoy a private beach, six restaurants, four bars, the Shiseido Spa, a range of sports facilities and a shopping area. For boutique chic, the Londa Beach Hotel offers 68 contemporary rooms near the old town. Facilities include the stylish Caprice restaurant and a 115m2 meeting room for up to 100. For more relaxed itineraries, try the St Raphael Resort, set within 43,000m2 of landscaped gardens, 11km from the city, which has 272 rooms, six restaurants, three bars, a spa and a 237-berth marina. Event space includes a pillar-free room with capacity for 500 delegates. Meeting spaces: A conference centre will be constructed near the new marina in Limassol with capacity for 2,000 delegates, with a completion date yet to be finalised. Meanwhile, the 239-room Amathus Beach Hotel Limassol offers a conference centre with a range of spaces, the largest of which is Demetra, with capacity for 400 attendees. The hotel also offers four conference rooms with soundproof moveable partitions. How to get there: Limassol is a 45-minute drive from Paphos and Larnaka airports, which opened in November 2008 and November 2009 respectively. Jet2 launched new flights this year from East Midlands and Newcastle to Paphos, while Cyprus Airways' schedule includes flights from Heathrow, Manchester and Birmingham. Easyjet also flies to Cyprus. Don't miss: Vista Events can arrange tours of the Troodos Mountains, driving through traditional mountain villages by Mount Olympus, the highest point on the island, and visiting the Kykkos Monastery, founded during the Byzantine era in 1092. Wine tours are also available, where delegates can enjoy the island's greener scenery and sample a variety of local tipples at a private winery. Meanwhile, Limassol Castle and the Amphitheatre at Kourion are worth a trip for a taste of Cyprus' history.